The specialty of emergency medicine meets the scientific, clinical and organizational need for a medical discipline that has a primary concern with emergencies. It requires a physical and / or conceptual presence in the prehospital, inhospital and interhospital care of emergency patients. The province of emergency medicine is early diagnosis and treatment of all life, organ or limb threatening conditions. Timely and well-coordinated care limits both immediate and late mortality and reduces the duration and severity of morbidity from sudden illness and injury. The relief of suffering is also of paramount importance. The emergency health care system must be clinically, organizationally and financially independent. Certain features such as triage, resuscitation and facilities for short – term observation and therapy should be incorporated into the system. The amount and type of emergency work is difficult to predict with certainly and so staffing and resources must be extensive so as to prepare specialists for the management of a wide range of conditions. Good practice in emergency medicine will maximize the likelihood of a favorable outcome for the patient. Therapy should be consistent with current knowledge and care must be provided in a humane and respectful manner with psychosocial support available as required. There is no defined time limit to the duration of emergency care. Emergency medicine encourages collaboration between all members of the health care team. An efficient chain of care requires liaison with pre-hospital care provides, hospital specialists and other staff and also with community medical and nursing staff and social workers. Teamwork is essential and must involve close cooperation and integrated facilities for protocol development and implementation, teaching and research. However, the specialty of emergency medicine will only realize its full potential when qualified emergency physicians possess the Authority to direct the emergency care that patients receive and accept responsibility for the outcome of that care. These physicians must have a similar responsibility for the management of the environment in which emergency care occurs. They provide an integrated system of pre-hospital, in hospital and inter-hospital emergency care. To standardize and to improve the quality of emergency medical care. To reduce the mortality, morbidity, disability and suffering associated with injury and sudden illness. To research into the nature and treatment of medical emergencies. To collect epidemiological data which relate to the prevention of accidents and to health promotion. The provision of high quality emergency care requires physicians with specialized training. Other doctors who are not specialists in emergency medicine will still be involved in the care of patients with emergency conditions. However, the head of a department of emergency medicine and the senior medical staff of the department must be a recognized specialist in that field. Emergency medicine is a specialty in its own right. Physicians may enter a training program from a background in surgery, internal medicine, anaesthesia, pediatrics, intensive care or a mixture of these subjects. Training in the specialty of emergency medicine will require a minimum of two years full time experience in a department providing emergency medical care for a broad range of cases. Up to one year of this may be included as part of basic specialist training. However, supervised practice at a higher level is essential. The right to practice as a specialist in emergency medicine should be granted by a specific board of accreditation. 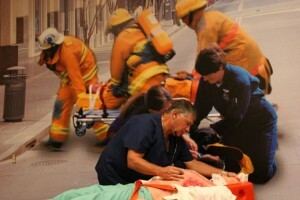 European certification in emergency medicine is desirable. It should be based on comparable standards throughout all European countries. A pan – European examination should also be developed which evaluates knowledge, skills and management capabilities. The implementation of similar standards of training in emergency medicine throughout Europe is a priority.